In 2017, the U.S. Food and Drug Administration approved 47 new cancer drugs; 38 of them were tested right here in Sarasota. In 2014, the FDA approved the first two drugs for idiopathic pulmonary fibrosis (IPF), a devastating lung disease with an average post-diagnosis lifespan of about 3.5 years. In Sarasota, IPF patients have had access to one of those treatments since 2002, and the other since 2010. Some Sarasota-treated IPF patients have lived more than 10 years. These aren’t the only examples of local drug trials. Our region’s medical ecosystem supports a robust clinical trials industry, where doctors provide local patients and patients from around the state and the Southeastern U.S. with access to promising new treatments for cancer to dementia to wrinkles. When pirfenidone, which had been tested here since 2002, was approved by the FDA in 2014, IPF patients from as far away as Kentucky and Philadelphia came to Sarasota to participate in an expanded access trial at SMH. Some people are referred by their doctors or a nonprofit organization; others find trials via clinicaltrials.gov, a National Institutes of Health website listing all clinical trials in the country. Individual doctors also develop their own relationships with certain drug or device companies. More than 600 studies are currently underway in Sarasota-Manatee, in the wake of thousands that have been completed here in the past. Local doctors benefit from local clinical research centers—generally found in larger academic institutions—that provide support and infrastructure for navigating paperwork and regulations. SMH’s Clinical Trials Center, a rarity for a community hospital, represents the hospital’s ambitions for drawing world-class doctors to serve patients here. “The physician can do what they’re good at, and we do everything else to support them,” says Voelker. Southwest Florida’s older, health-savvy community is suited for trials for treatments targeting conditions that affect seniors. At any given moment, SMH’s center may be conducting trials involving pulmonary or cardiovascular conditions, aortic aneurism stents, heart failure devices or hernia repair. Florida Cancer Specialists, which led local trials involving those 38 oncological drugs approved last year, is part of the Nashville, Tenn.-based Sarah Cannon Research Institute, among the largest clinical research organizations in the country. When Sarah Cannon partners decide to participate in an early-phase cancer trial that suits Florida’s older population, then that trial is coming to Sarasota. FCS’s Sarasota center may be one of only three or four sites in the country participating in certain trials. “It could be us, M.D. Anderson in Houston, Sloan Kettering in New York, and Dana Farber in Boston,” says Dr. Manish Patel, a principal investigator for FCS’s Drug Development Unit. FCS located its Drug Development Unit in Sarasota in 2011 in part because of convenient geography: Its 100-plus offices span Fort Lauderdale to Tallahassee. About 240 new patients every year participate in about 50 ongoing Phase 1 clinical trials at the unit. One of the many recent cancer drug approvals, Avelumab, which was tested there, represents oncology’s current focus on immunotherapies. Regional clinical trials are recruiting patients right now. 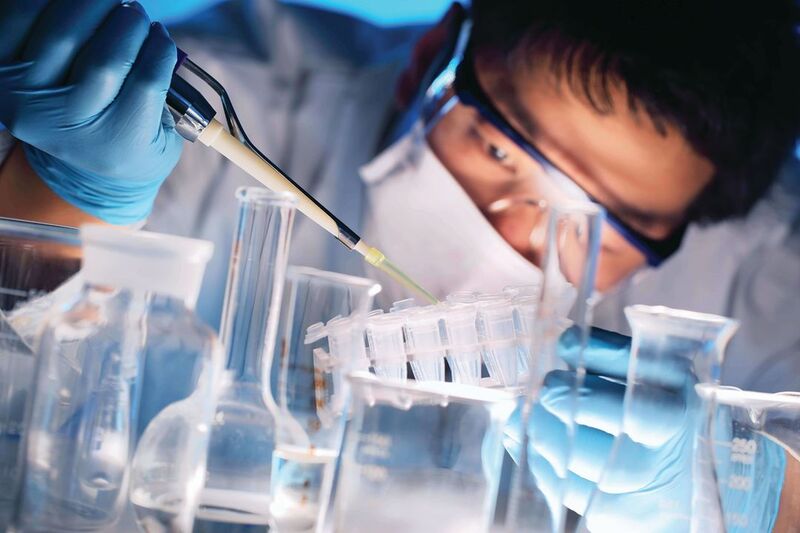 Clinical trials are key to advances in preventing, detecting and treating diseases. In Sarasota and Manatee, 242 trials were recruiting healthy volunteers and individuals with diseases and illnesses. We’ve listed a few being conducted by our Top Docs. For patient criteria and more information on these and other trials, visit clinicaltrials.gov; to learn what it’s like to be a volunteer, go to National Institutes of Health. Sarasota Memorial Hospital is testing a device that allows doctors to treat challenging abdominal aortic aneurysms (AAA) through an endovascular approach, rather than more invasive abdominal surgery. The Roskamp Institute is one of 72 sites testing Piromelatine, a multimodal sleep drug that “may improve memory, other types of cognition, and mood, in part by improving sleep quality in people with mild Alzheimer’s dementia,” according to the National Institute on Aging. This study evaluates the safety and effectiveness of J-Plasma, an energy device that uses cold helium plasma with radio waves to reduce facial wrinkles. BI 754091 is a new “immune checkpoint inhibitor” designed to rally a patient’s own immune system—which is often suppressed by the tumor—to fight cancer, according CenterWatch. The trial is to determine the safe dosage and tolerability in patients with solid tumors. This trial tests the Simplify® Cervical Artificial Disc for people with cervical degenerative disc disease, a common cause of neck pain that can continue down the arm. The study is testing the safety and effectiveness of this device versus other procedures. Iron deficiency has been identified as an issue in chronic heart failure. This is a study to assess the effects of IV Ferric Carboxymaltose (FCM) for patients in heart failure with iron deficiency. National research group Castle Connolly Medical compiles lists of top doctors all across the United States, soliciting nominations from physicians and other medical professionals and examining nominees’ credentials and career histories, from education and board certifications to procedure volumes and outcomes. Doctors cannot nominate themselves, and they do not—and cannot—pay to be included on the list. To see our list, visit sarasotamagazine.com/doctors. While the physicians listed are among the very best in our area, we know that choosing the right doctor for you is a personal choice based on more than rankings. We hope this list provides a useful starting point and reference when you are in search of the health care you need.